Our road trip through South Africa covered Cape Town to Jeffrey's Bay. The N2 (Garden Route) is very similar to the PCH road trip many take in California with tons to do and see along the way. 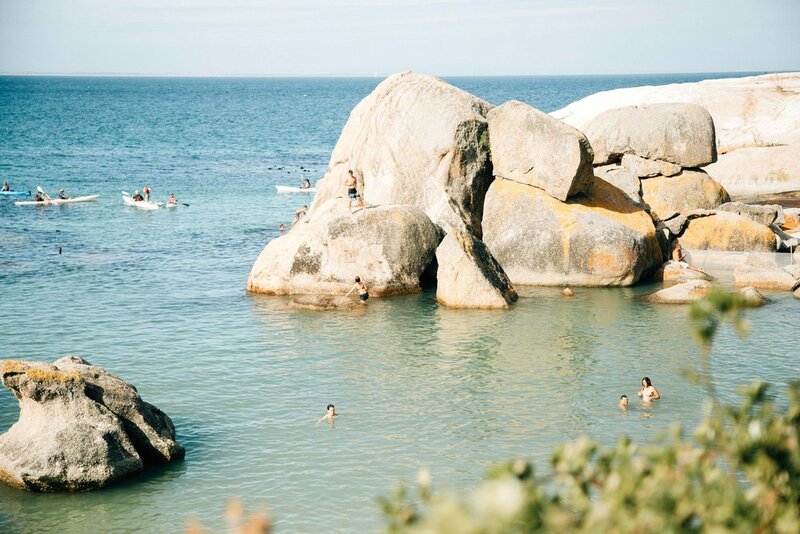 We ended up stopping in Albertina (safari - this one will have it's own post), Knysna Lagoon, Plettenberg Bay, Storms River Mouth and Jeffrey's Bay on the way there and then Swellendam and Boulders Beach on the way back. Perhaps the best part of the trip was our Airbnb which was a Surf Lodge in Jeffrey's Bay (this is where Mick Fanning punched a shark). We surfed our little hearts out with some of the coolest people we've met in water that was actually warm (it's freezing in Cape Town). Waves were perfect as was the company. Another stop was the hillside town of Swellendam. It's a cute little town with stunning mountain scenery and hikes all around. We stayed at the Hilltop Country Retreat on Airbnb and loved it! Last on the road trip was Boulder's Beach where the pengüinos hang. 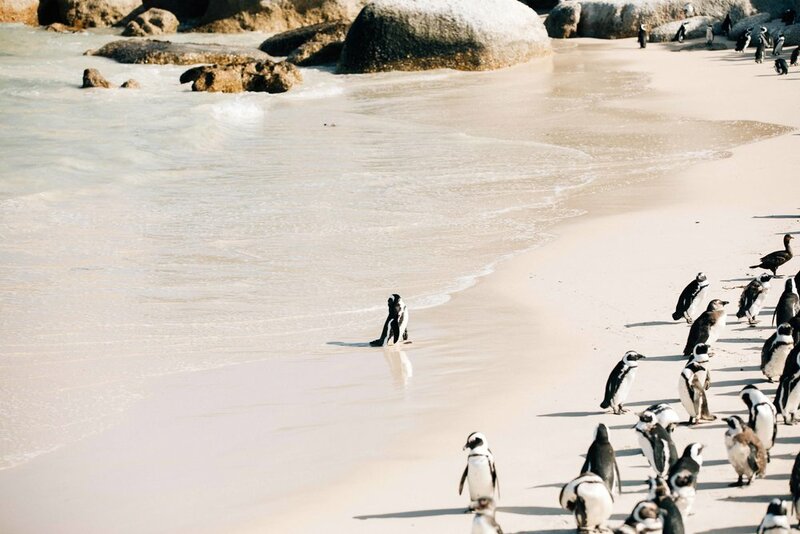 There are two parts to Boulder's Beach; one part where the majority of the penguins hang in and you can take pictures and the other part is a beach where you can swim with the penguins! You have to pay for both, and yes, it's touristy.. but come on.. it's pengüinos on a beach!